Zscaler ThreatLabZ recently came across a new wave of malicious documents evading automated analysis systems using a new technique. Malicious executables that leverage numerous techniques to detect the virtual environment and automated analysis systems are very common, but we are seeing an increasing trend of such techniques moving to the initial delivery vector (i.e. weaponized documents). In this blog, we look at some of the anti-VM and anti-sandboxing techniques seen in the recent malicious documents including the newly added check of Microsoft Office RecentFiles count. 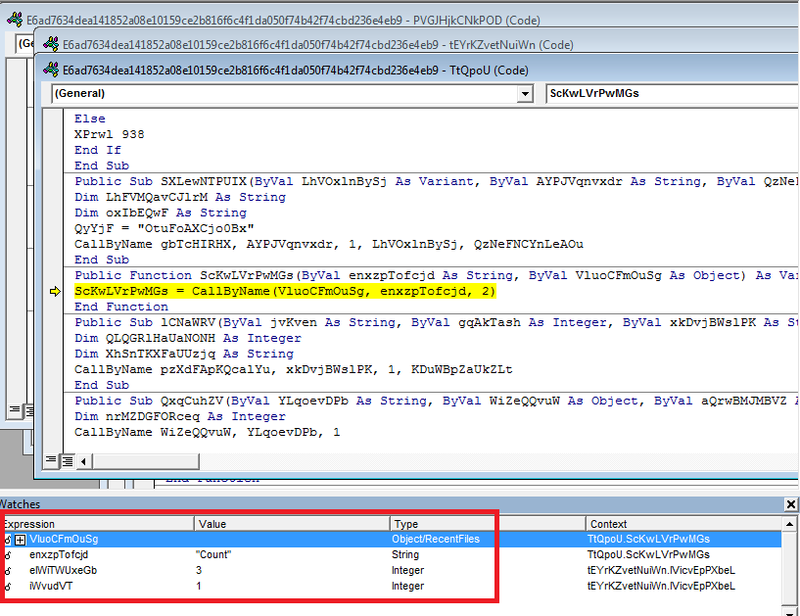 If any of these anti-VM or anti-sandbox checks is positive then the VBA macro code execution terminates and the end malware payload does not get downloaded on the system shielding it from automated analysis and detection. Alternately, the malicious document will download and install a malware executable on the victim's system if all the anti-VM checks fail. In the last week of May, we started seeing a new wave of malicious documents leveraging two new techniques that prevents it from executing on many known sandbox solutions. RecentFiles property returns a RecentFiles collection that represents the most recently accessed files. The macro code checks if the number of RecentFiles collection is less than a predefined threshold and terminates if true. Threshold value we have seen is 3 or higher. The malware author makes an assumption here that most clean Virtual Environment snapshots will be taken after a fresh Microsoft Office install with probably one or two document files opened for testing the installation. Alternately, a standard user system with Office applications should have at least 3 or more recently accessed document files. This API asks for user credentials but we did not see any hardcoded credential information being sent by the malicious document. The malware author is setting the UserAgent and Referer headers for this request to get the response without any authentication. We are still verifying if this is by design or if this is an authentication bypass issue for the API that is being exploited. The response is then compared against a predetermined list of strings (Figure X) that includes multiple known security vendors & hosting services as well as generic strings to detect data centers, hosting services, cloud based security and hosting services ownership. 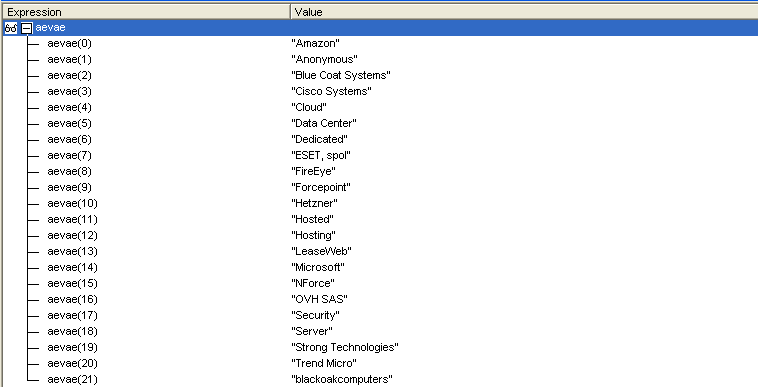 The macro execution will terminate if maxmind's response for the external IP address matches any of these strings. We also saw Nitol and Nymaim payloads subsequently being dropped by Matsnu Trojan. Malicious documents with highly obfuscated macros have become an increasingly popular vector among cyber criminals to deliver malware executable payloads. By adding newer anti-VM and anti-analysis techniques to the malicious documents itself, the attackers are protecting the end executable payloads from being downloaded and detected by the automated analysis systems. Zscaler ThreatLabZ will continue to monitor and ensure coverage against the evolving malicious document threat as well as subsequent malware executable payloads.